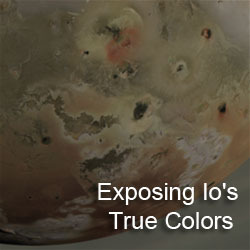 Continuing my series of posts on the Io-related posters and abstracts for next week's Lunar and Planetary Sciences Conference, we look at Giovanni Leone et al. 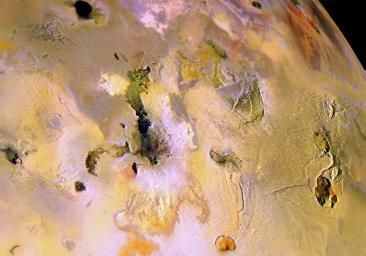 's poster "Links between Volcanism and Tectonism on Io: A Comparative Study of Monan Patera, Amirani, and Prometheus". In their abstract, the authors developed models for the subsurface structures underneath Monan, Amirani, and Prometheus by looking at the tectonic structures on the surface, such as mountains and fractures, and the shapes of the paterae. The central thesis of their work is that the same faults that act as zones of weakness that leading to the thrusting upward of the many mountains that dot the ionian landscape are also used as conduits for magma in deep-seated reservoirs to reach the surface. They used images Galileo took of these three volcanic center to model the relationship between faults, subsurface magma reservoirs, and volcanic features on the surface. For Prometheus, their subsurface model includes three magma reservoir: a primary reservoir in the asthenosphere, a secondary reservoir at around 17 km below the surface in the middle of the lithosphere, and a shallow reservoir between 3 and 5 km below the surface. They suggest that the three reservoirs maybe connected by a thrust fault that bounds the western margin of Prometheus Mensa, a low, lumpy mesa to the east of the Prometheus volcano, and the eastern margin of Prometheus Patera. This thrust fault was the source of the N-S lava flow seen by Voyager at Prometheus and the 75-km long lava flow that developed between Voyager and Galileo. The authors suggest, based on superposition relationships between individual lava flows in the main flow field, that this thrust fault became clogged with cooled magma and a new conduit was activated on the western side of the flow field, feeding the flows that generate the main Prometheus plume. It should be noted though that thermal emission was seen by NIMS at the thrust fault as well as the western end of the flow field, so lava is exposed at the surface in both areas (at least it was eight years ago). There is also a small plume deposit reddish material emanating from the thrust fault, suggesting that it is still active as a primary vent. Their analysis of the images of the Amirani and Monan volcanoes suggests that those two volcanoes, as well as Maui Patera, are fed by the same magma reservoir systems. Their model suggests that branching conduits from the shallow magma reservoir underneath the Amirani vent feed Maui Patera (to the southwest of the Amirani vent) and Monan Patera (to the southeast of the Amirani vent). Diapirs in the asthenosphere imping on the base of the lithosphere cause the uplifting of nearby mountains Monan Mons and an unnamed mountain to the southwest of Maui Patera. They also suggest the presence of a cold pluton (basically a solidified magma reservoir, though the term applies to any body of magma that has solidified below the surface). A very interesting abstract. I particularly like the discussion on the subsurface connection between different volcanoes like Amirani and Monan. 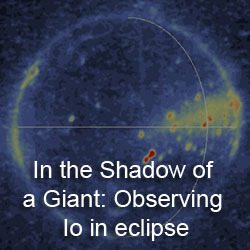 Such connections can be inferred in other regions as well, particularly where nearby, normally quiescent, volcanoes erupt in a relatively short span of time. 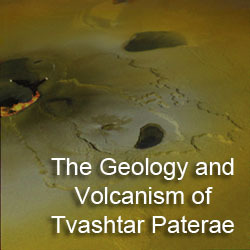 Interesting examples include the volcanoes of the Tvashtar Paterae (basically four separate volcanoes partially surrounded by two mesas) and Thor.